We are amongst the reputed organizations, highly engaged in manufacturing an optimum quality range of Thermal Barcode Ribbons. Riding on unfathomable volumes of industrial expertise, we are providing a broad array of Thermal Transfer Barcode Ribbon. Quality conscious company engaged in manufacturing and supplying unbeatable Zebra Thermal Transfer Ribbon. 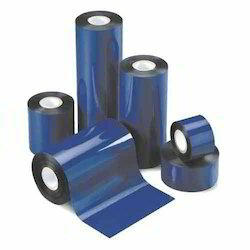 These Wax Thermal Transfer Ribbons are available in various colors, thickness and others. 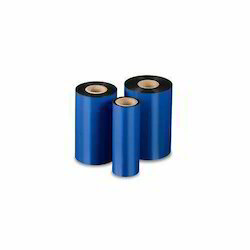 Our Ribbons are highly compatible for all kinds of Barcode Printers. A Thermal Transfer Ribbon will be required to print the labels. - Width: 3/4", 7/8", 1", 1-1/4", 1-1/2", 2", 3"
We are offering Pure Resin Ribbons to our clients. Size: 25mm x 100 Mtr.